The DCR-250 Super Macro lens obtains the maximum macro magnification power with the camera lens set at the most telephoto zoom position. The lens is made of high index optical glass, which produce rich and razor sharp image. 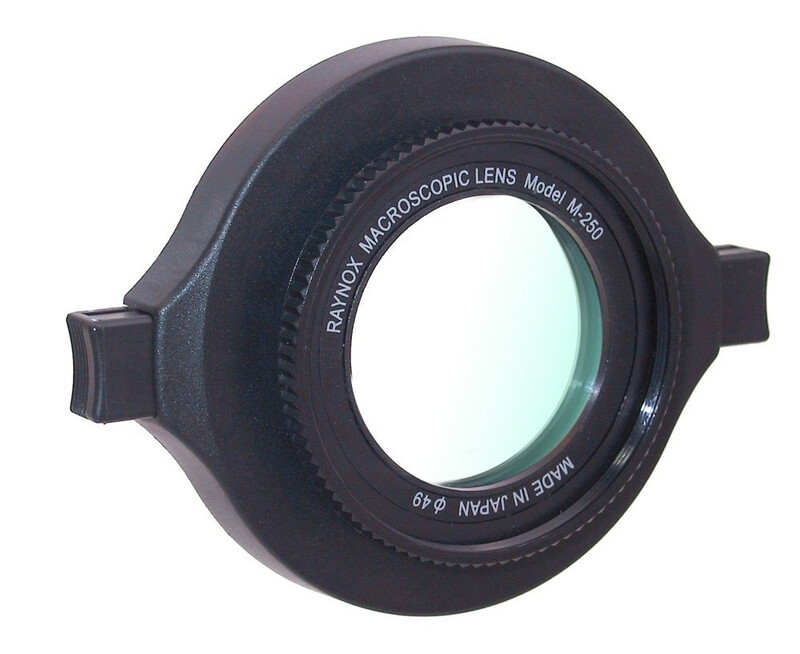 The lens includes a Snap-on universal mount suitable for 52mm to 67mm filter sizes.